If you Google the phrase “What goes up, must come down,” you’ll learn that it’s attributed to Isaac Newton. You’ll also find the following explanation. “Things that are launched into the air will return back down to the ground. Why? 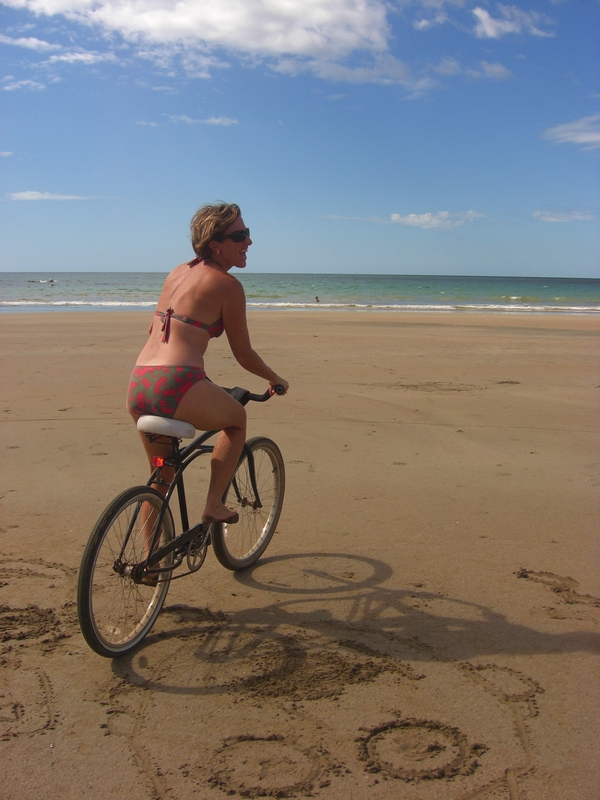 Because of gravity, that’s why.” As a resident of the Ocean State, I can be found on the beach almost every day, often humming the song, Spinning Wheel, which begins with Newton’s quotation. Because almost every single time I walk the beach I see the crumpled remains of balloons along the high tideline. One sunny spring weekend marked by both Mother’s Day and local school graduations, my son and I picked up over a hundred balloons in a one-mile-stretch of our favorite beach. It’s no surprise that balloon debris in beach litter surveys has tripled over the past 10 years. Balloons litter our shorelines. Their colorful ribbons once clenched by sweaty toddler fists unfurl across the sand like jellyfish tentacles. And this is one of the biggest problems with balloons—they look like jellyfish to the critters that eat them by mistake. Whales, dolphins, sea turtles, and birds have all been found dead on the beach with balloons inside of them blocking their digestive systems, slowly starving them. Which isn’t the festive image we typically associate with a party balloon tied to someone’s mailbox. Or released en masse to mark a special occasion or memorialize a loved one. As a bereaved parent, I have been cringing for years as folks gather in cemeteries and on soccer fields to release balloons by the handfuls. It’s a nice symbol, sending something up into the heavens where we picture our loved ones waiting to receive them. Especially our children, who will never delight in birthday balloons again. But none of us truly believes that our dearly departed will be the happy recipients of anything we launch into space. Remember the song? Other creatures will, but not in the way we’ve intended. Balloons are usually made of natural latex, which is biodegradable, but the decomposition takes many months, the ribbons even longer. Others are made of foil, Mylar, and these can float for hundreds of miles before descending. A whale calf recently washed ashore in California, dead from choking on a Mylar balloon. Killing sea creatures in the name of our loved ones is not the sort of myth we should be perpetrating. Dead sea birds entangled in pink and blue grosgrain ribbon is not how we’d intentionally choose to honor our babies. After we’ve watched them float up, up, and away, balloons either burst or slowly deflate. Gravity ensures their return to earth and that is true for Chinese Lanterns as well. Once the flame burns out, their metal and bamboo frames can entangle birds and choke livestock. A handful of cities and states have enacted laws banning the release of balloons and lanterns, along with the White House, Park Service, and Disney World. But the Balloon Council spends millions of dollars lobbying to keep balloon releases legal, encouraging us to litter with their products. Balloon releases should be included in existing litter laws because, after all, that’s what it is. If you want to memorialize your loved ones or mark a special occasion with something lofty, there are alternatives. For streams of color high in the air, why not fly kites? How about a mass bubble release? Or releasing monarch butterflies? Homing pigeons? Or my favorite—plant a tree. You can watch it grow and it will provide years of habitat for animals and birds instead of killing them. Kelly Kittel is a mom, an author, and, in her own words, part fish. 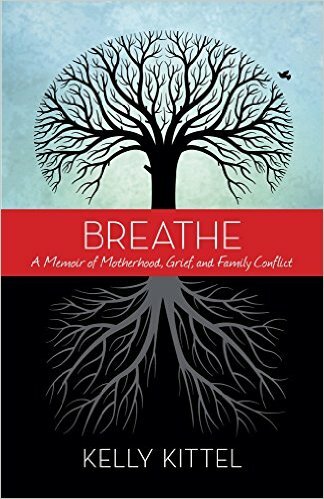 Her first book, Breathe, A Memoir of Motherhood, Grief, and Family Conflict, is the winner of IPNE’s Best Book of the Year and Best Narrative Nonfiction, and was an Honorable Finalist in the Readers’ Choice International Book Awards. Link to her website, follow her on Twitter, and like her on Facebook. As a card-carrying treehugger, I agree with you 200%! Great post.